L2 Solutions "In Reach" product is a web based variable data marketing tool that provides end to end customized direct print marketing. 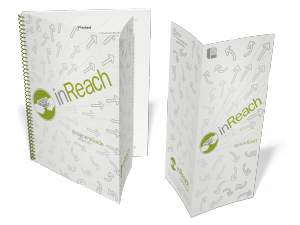 Using a web browser, the end client can create fully customized direct mail material that contains database driven variable text and graphics. Once designed, the print piece can be proofed in PDF format, sent to a printing press, and mailed out using the web interface. 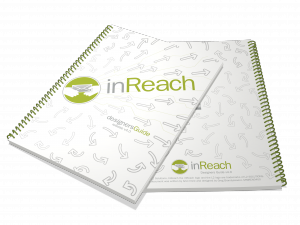 Create a low cost instructions manual with supporting material. The design should look modern and provide a unified brand idenity for the L2 product range. 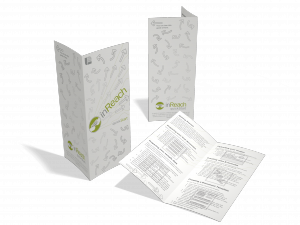 The products all focused on variable data direct mail which is a very targeted approach to mass marketing. 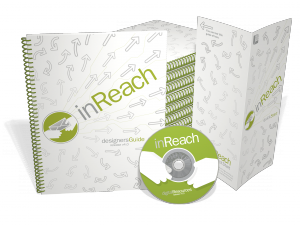 It is estimated that only 2% of bulk [junk] mail is successful in selling. Direct mail get much better results. 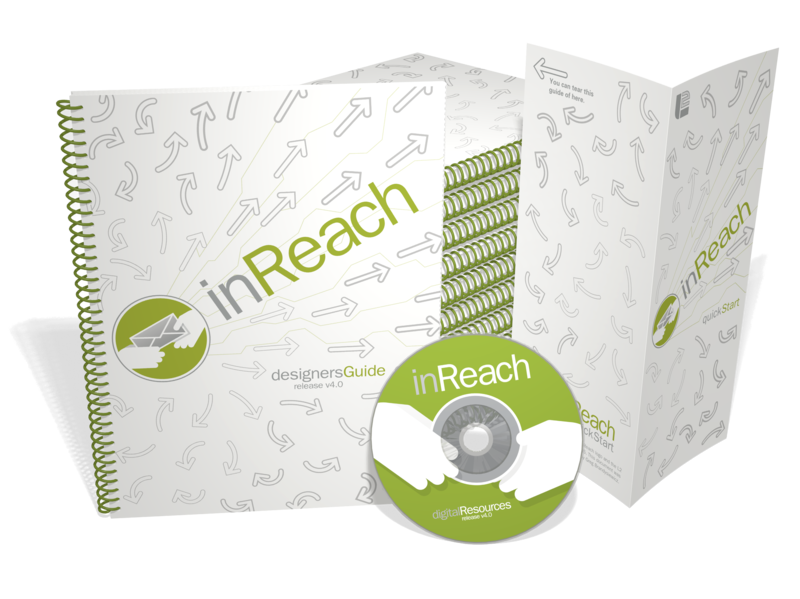 To visualize this difference a series of arrows where used to signify the marketing effort. The directed stream of arrows below the product name indicates the targeted result whereas the rest of the arrows started to curve away into spiralling torrents that go no where much like bulk mail. To keep the production costs down only manual pages were printed in Black & White. The outside covers using black and a spot color with the inside covers in black only. 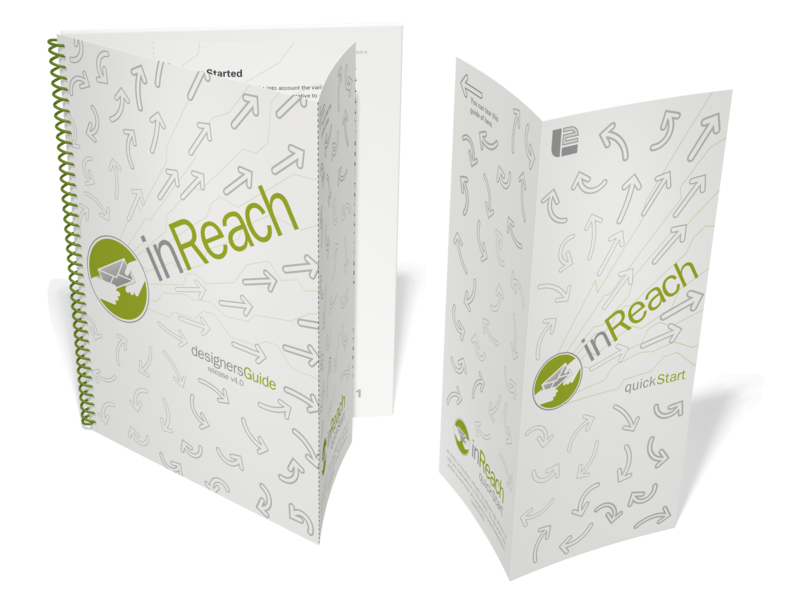 The attachment of the tear off Quick Start Guide was specifically laid out so that its outside cover would be printed on one sheet with the manual cover and torn off by the end user.